Today the Joomla! Extensions Directory (JED) team met at 2 pm GMT via Glip to discuss our progress of current tasks. In attendance: Jaz Parkyn, Anibal Sanchez, Hugh Douglas-Smith, Luca Marzo and Mark Lee. Absent: Daniel Dubois, Dénes Székely, Darek Śnieg (On leave), Markus Bopp, Martin Mueller, Miron Savan, Paul Franklin, Troy Hall and Sotiris Katsaniotis. Check the JED Team Sprint - J and Beyond - May 11th, 2018 for the latest update. More SEO Improvements have been applied to the profile area to avoid content duplication at search engines. Recently Added, Top Rated, Most Viewed modules are coming, on incremental small/new changes. New scrolling widgets (similar to Google Play style). As a consequence of the required changes of Joomla 4, the internal reorganization in the current Joomla 3.8 release is causing issues on extensions that rely on class names like JUser, JMail, JUri, etc. 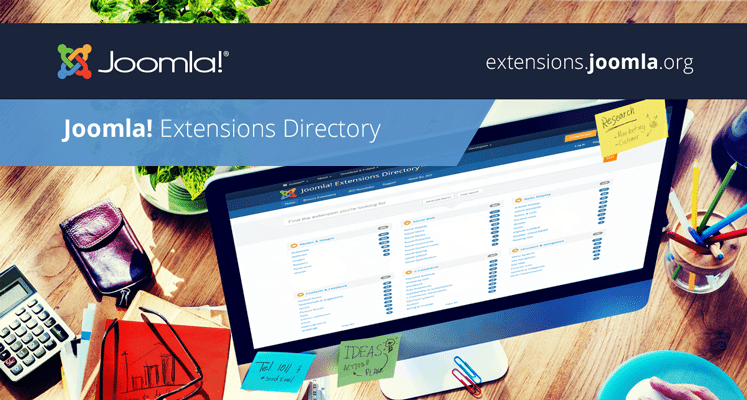 For more information about Joomla 4 and Potential backward compatibility issues. JED has now the checkbox for J4 compatibility, and a new menu "Compatible with J4 Alpha" has been published to feature J4 extensions.